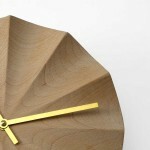 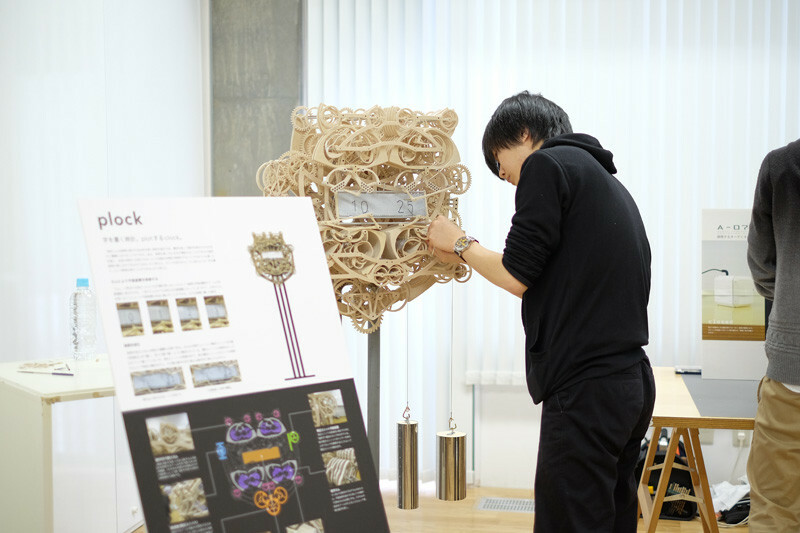 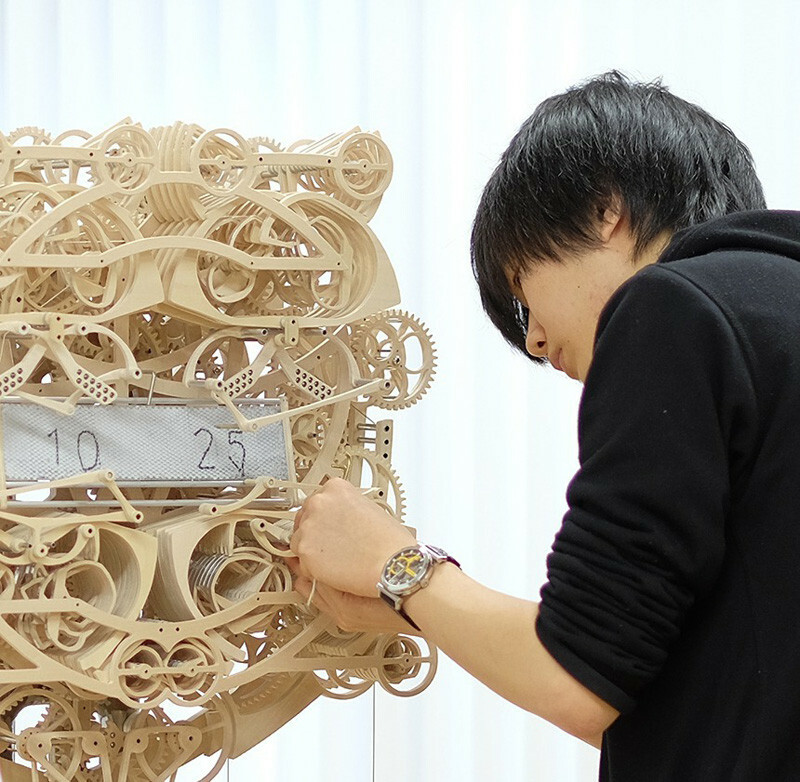 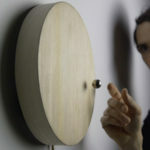 Tohoku University of Art & Design student Kango Suzuki, who is majoring in product design, has created an intricate wood clock as part of his senior thesis. 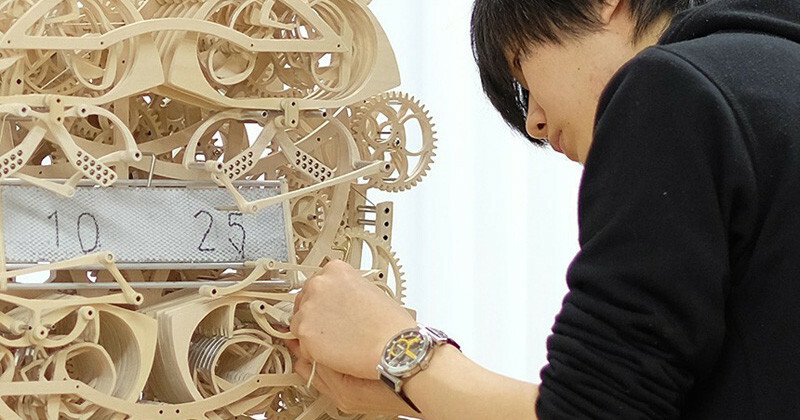 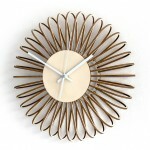 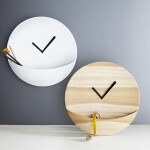 The clock, named Plock, has over 400 moving parts that work together to keep time, but they also write the time. 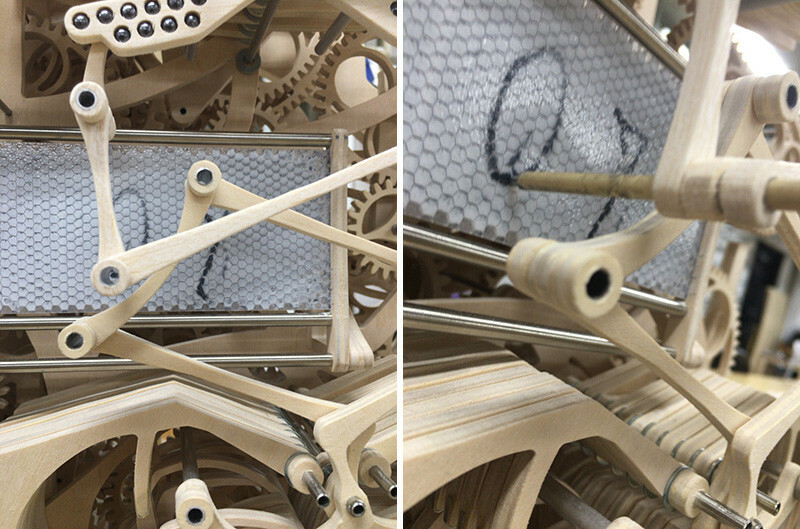 The clock has four magnetic stylus pens on a magnetic drawing board, similar to the toy Magna Doodle, to mechanically write the time every minute.